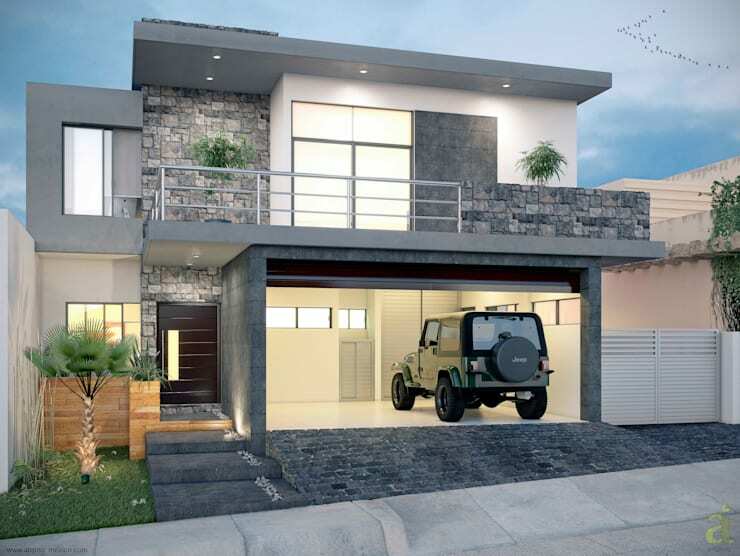 The very best family home designs have a sense of solidity about them. These are the homes in which we grow together as a family, enjoying communal space as well as some solitude. 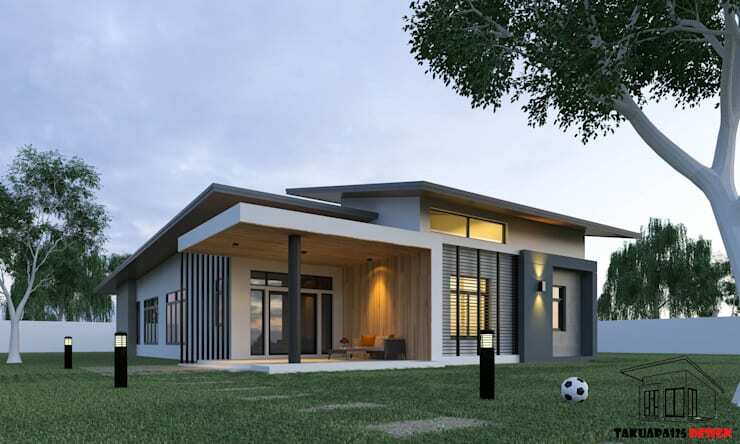 In this kind of home, there isn't just an extra bedroom or two; there is also a very special sense of flow between the social areas and generally a good open relationship with the natural surroundings. This is because an outdoor entertaining area, porch or terrace garden can provide that extra bit of communal living space and work as a natural extension of the indoor living areas. 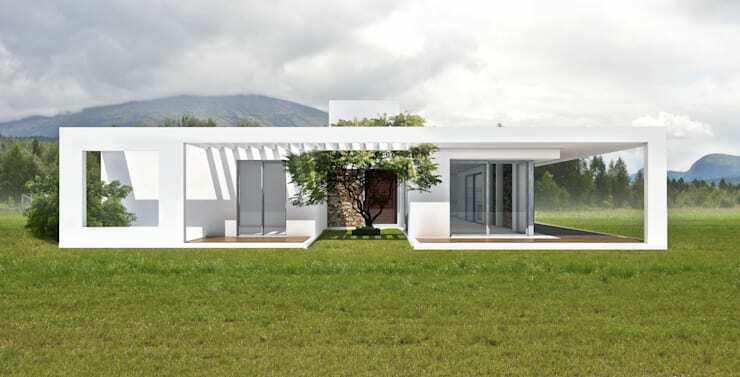 This beautiful bungalow comes to us from Thai architects Takuapa125. It has a very modern feel and a warm, private outlook. The deep porch or terrace is great for socialising and the upper level has a very private narrow panel window. It feels like this would be a good home for separate living areas. In visual terms, the varying planes of the sloping roof and the huge variety of wall treatments makes this a very interesting exterior. A peaked roof design is definitely associated with family-style living. 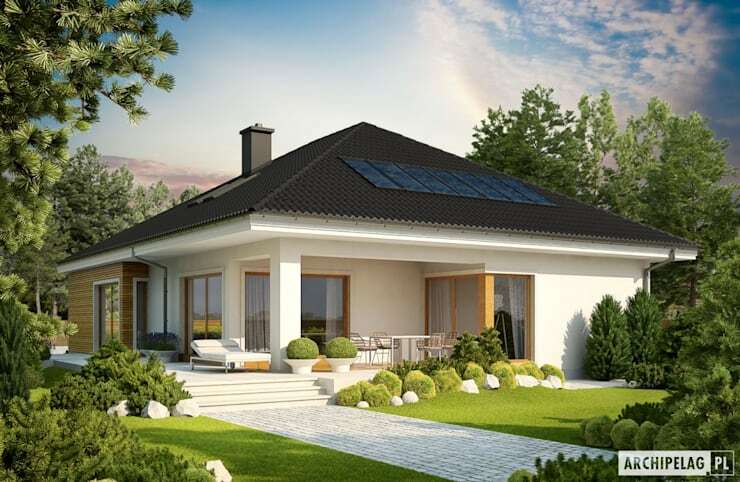 Here we have a good example of how this kind of classic roof design can be integrated into a modern home. There is a glass balcony to allow an uninterrupted view of the surroundings, and a corner window to bring the outside in. 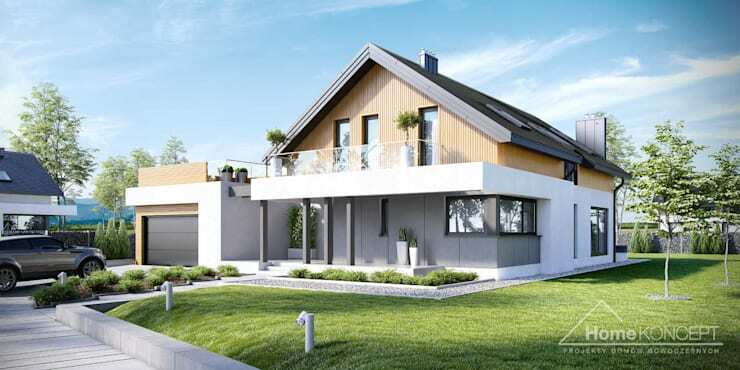 This combination of wood and concrete can be a good combination for those looking for a modern family home. This family home definitely has a relaxing ambiance. 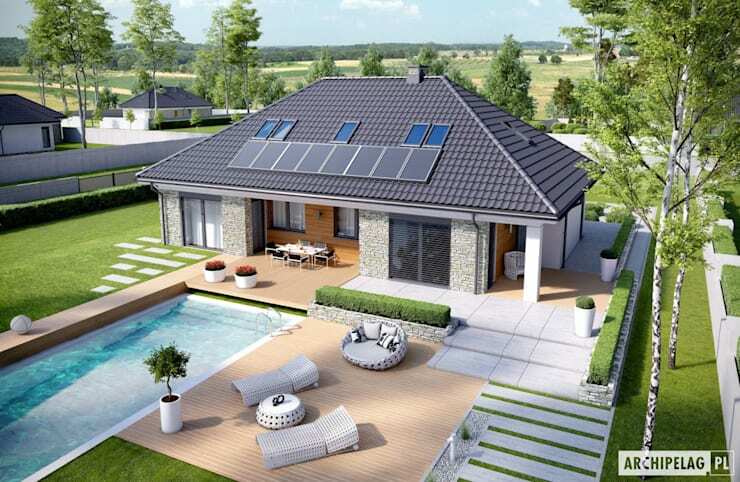 It also has a triangular sloping roof with solar panels to make it environmentally friendly too. The big design takeaway here is the combination of chunky white lines and a simple uncluttered design. A brick exterior brings lots of natural texture and an unparalleled sense of solidity to a family home design. This one also has a fabulous outdoor entertaining area with a pool that would be perfect for young children to burn off some excess energy. Note how the shape of the rear facade has a slight U-shape that sort of embraces the garden and creates a natural wind break. The landscape architects have also employed a huge range of sociable areas that require very little maintenance. This white single-level home definitely has a minimalist Mediterranean atmosphere. It also has some links to Japanese design. This would be suitable for a couple or those with slightly older children. The floor-to-ceiling glass doors and windows make the interior feel very light. We love how the tree pokes through the opening in the terrace roof. A two-storey family home can easily feel quite visually heavy in a dense urban environment. But here we can see how the effect can be softened with lots of variations in the facade. The modern stone adds a lot of texture and the huge variety of minimalist windows create a nice contrast. Also, check out the big double garage. It has been designed to form the base layer of the small upper balcony. 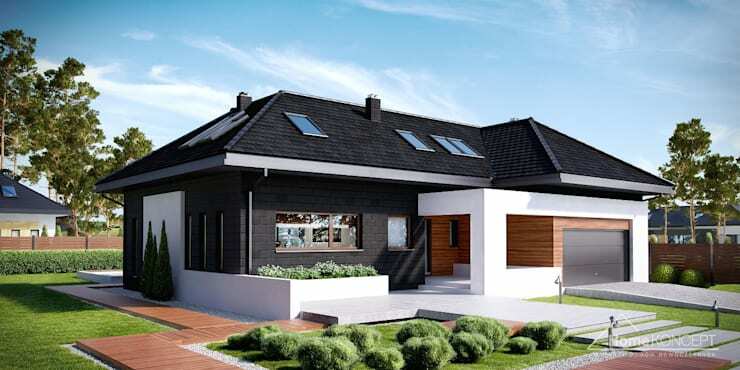 Black is definitely not the first shade that comes to mind when thinking of a stylish family home. But here we can see how well it works when combined with white feature beams and some golden timber walls. The beautiful thing about this design is the way the black walls blend into the black roof to create a totally seamless look. For more home inspiration, have a look at 11 cute Nordic style wooden homes. Which of these home designs would you pick?